Sure, many UFOs can be explained as something natural or man-made. But when the Pentagon admits it ran a secret multimillion-dollar UFO program, even hard-core skeptics sit up and listen. I mean, if the U.S. government feels there’s a need for a program to collect and analyze “anomalous aerospace threats,” then they must know something, right? You can’t help but wonder if an alien disclosure is imminent. Does this mean we’ll soon know the real story behind Area 51? For decades the U.S Government told Americans they had no official interest in aliens or UFOs. But for UFO enthusiasts, conspiracy theorists and ufologists, those words fell on deaf ears. For years, many have claimed that aliens visit the Earth and even walk among us — and that world leaders are aware. But it’s a secret hidden from the public for fears the information could negatively impact religion, law and even the economy. “There’s compelling evidence that we may not be alone,” said Luis Elizondo in an interview with CNN’s Erin Burnett. Elizondo, a former military intelligence official, oversaw a secretive Pentagon program that investigated UFOs and hunted for evidence of alien life. The program was located on the fifth floor of the Pentagon’s C Ring, deep within the building’s maze, according to records obtained by The New York Times. Previously, the Defense Department denied the existence of the program. But now they say it was shut down in 2012. Backers suggest otherwise, claiming that while the Pentagon ended funding at that time, the program remains in existence today. Could this finally be disclosure? The Advanced Aviation Threat Identification Program started largely because of previous-Senate Majority Leader Harry Reid, D-Nevada. Reid secured funding after speaking to a friend and political donor, who owns an aerospace company and believes in the existence of aliens. Meanwhile, Elizondo told The New York Times that he resigned from the Department of Defense in October due to the excessive secrecy surrounding the program. Although he could not speak on behalf of the government, Elizondo strongly implied there was evidence that stopped him from ruling out the possibility that alien aircraft visited Earth. Check out the video below — courtesy of the U.S. Department of Defense. It shows an encounter between a Navy F/A-18 Super Hornet and an unknown object. The video was released December 16, 2017 by the Advanced Aerospace Threat Identification Program. Elizondo is not the first official to come forward to expose UFO presence on Earth. In 2005, Paul Hellyer, Canada’s former defense minister accused world leaders of concealing the presence of aliens. And he was the first high ranking politician to do so. In 2013, Hellyer visited Washington and presented his opinions to five former members of the House of Representatives plus ex-senator Mike Gravel of Alaska. Nick Pope is the former head of the British Government’s Ministry of Defense’s UFO project. He’s researched and investigated UFOs, alien abductions, crop circles and other strange phenomena. After working for the Ministry of Defense for 21 years, Pope is one of the world’s experts on UFOs. This led some conspiracy theorists to speculate that he is, in fact, part of a government cover-up aimed at hiding the truth about UFOs. Nevertheless, Pope has a warning for humanity. Remember Oumuamua, the skyscraper-sized space rock captured hurtling past Earth? Some believe it’s an alien craft or probe sent by extraterrestrials. The space rock even captured the attention of astronomers with the “Breakthrough Listen” project. Scientists led by professor Stephen Hawking used high-tech scanners to research if the object was sent by an alien civilization. Although they couldn’t find any evidence of this, Pope said we shouldn’t rule it out. Furthermore, he suggests another intriguing possibility. He argues that asteroids such as Oumuamua could serve as alien probes or ships in disguise. In other words, just because it doesn’t look like a traditional disc-shaped saucer, seen in sci-fi films, it doesn’t mean it isn’t a craft. Rather than building an interstellar spacecraft from scratch, Pope believes it makes perfect sense to take an asteroid, and then, build a ship around it. Or, hollow it out and build inside it — to protect technology with surrounding rock. This means the comets we regularly see flying in could actually be alien probes. Maybe aliens have watched us since the beginning of time, proposes Pope. Would we survive an invasion? And it’s not just conspiracy theorists and alien hunters who believe these theories. 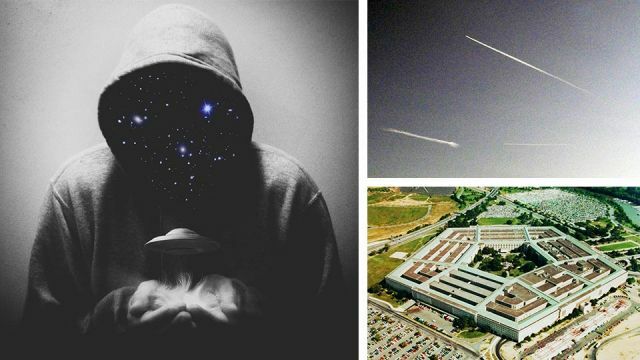 The recent news about the Pentagon’s UFO program proves governments are taking the idea of extraterrestrial life more seriously than they let on. Does this mean ETs are watching us — and perhaps we’re watching them? Some say yes, and believe we’re on the brink of a full-blown disclosure of alien visitation. But only time will tell. Hey Buddy!, I found this information for you: "Former Pentagon Official Speaks Up: We May Not Be Alone". Here is the website link: https://www.thealternativedaily.com/are-we-being-prepared-for-alien-disclosure/. Thank you.